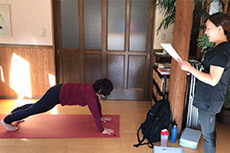 Come and study with us for this year's Yoga Alliance Teacher Training Course.Join us for an experience of a lifetime! Get yourself registered with Yoga Alliance and create opportunities to teach and live Yoga! Download the application or contact us by mail or phone. Upon graduation from our teacher-training program, you will be qualified to register with Yoga Alliance at the 200-hour level. 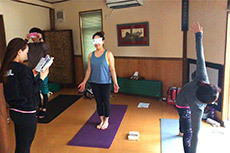 Whether you want to be a Yoga teacher or just want to learn more about Yoga, we have designed a course and schedule that is perfect for the person looking for a new path in life or is simply working towards a deeper understanding of his/her Self. 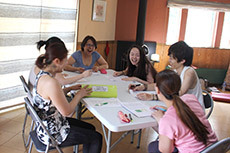 Classes will be conducted in both Japanese and English. *Please purchase your own books. They can be found online at amazon.com or other booksellers of your choice. Copyright © Senaji Studio All rights reserved.